GOVERNMENT has been driven into a tight corner over compensation of white former commercial farmers who lost land during the country’s fast-track land reform programme after the former farmers tabled stringent demands that include cost of land, over and above the improvements done on the farms. 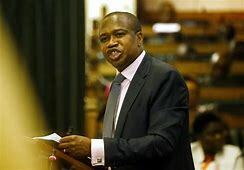 Finance minister Mthuli Ncibe has set aside ZWR$53 million for the compensation of the over 4 000 white former farmers, who lost their land at the turn of the millennium. The farmers were supposed to be compensated for the developments made on the farm as land belongs to the State under the country’s Constitution. However, the former farmers have threatened not to cut a deal with government if any compensation being dangled by government does not include the contentious land ownership issue. Government on Friday pledged to offer advance payments to farmers for losses suffered during the land reform exercise while valuations for a full package for farm improvements are being conducted. “Government accepts liability for improvements, but not land under the Constitution. The land side is contentious, but needs to be dealt with because title includes both land and improvements,” Commercial Farmers Union president Ben Purcel Gilpin said in an interview yesterday. He said the former farm owners were committed to investing their compensation to boost the revival of the agricultural sector, but on condition government guaranteed their rights and protected investments. “We note that the government is anxious to get the economy going and believe that dealing with the land issue in a way that restores banking confidence will drive recovery. “This could involve getting former farmers to invest compensation dues in recovery or the like. Many are willing to do this and would hope that as Zimbabweans they would be treated fairly,” Gilpin said.